A Mothers Ramblings: Hairspray The Musical Stageshow Spectacular! Now Daddy and I aren't parents who shy away from showing films we enjoy to our children. Normally it is because we have forgotten how much swearing or innuendo or violence there is in the films, but occasionally it is because we know that Top Ender will love the film and seeing as she knew all the words to the songs and so I brought the DVD with the intention that Top Ender could watch it. In fact Top Ender has watched it so much that she knows ALL the dance moves. When we play Dance On Broadway she always chooses to dance to "You Can't Stop the Beat" and her scores are so high that I have started to refuse to dance along with her! When we heard that the tour was coming to Milton Keynes we knew we had to go and so with thanks to the lovely Becky from the Press and Communications department at Milton Keynes Theatre, yesterday evening Top Ender and I went to see Hairspray. In case you don't know, the show is set in 1962 and is about a plus sized teenager from Baltimore called Tracy Turnblad (played by Laurie Scarth). Tracy has big hair (which she thinks is like Jackie Kennedy's) and a crush on Link Larkin (played by Liam Doyle), Baltimore's answer to Elvis. Tracey follows her heart to become a regular on a local TV dance programme called "The Corny Collins Show", shows that racial segregation is a thing of the past, gets her man and inspires her Mum to follow her dreams too. 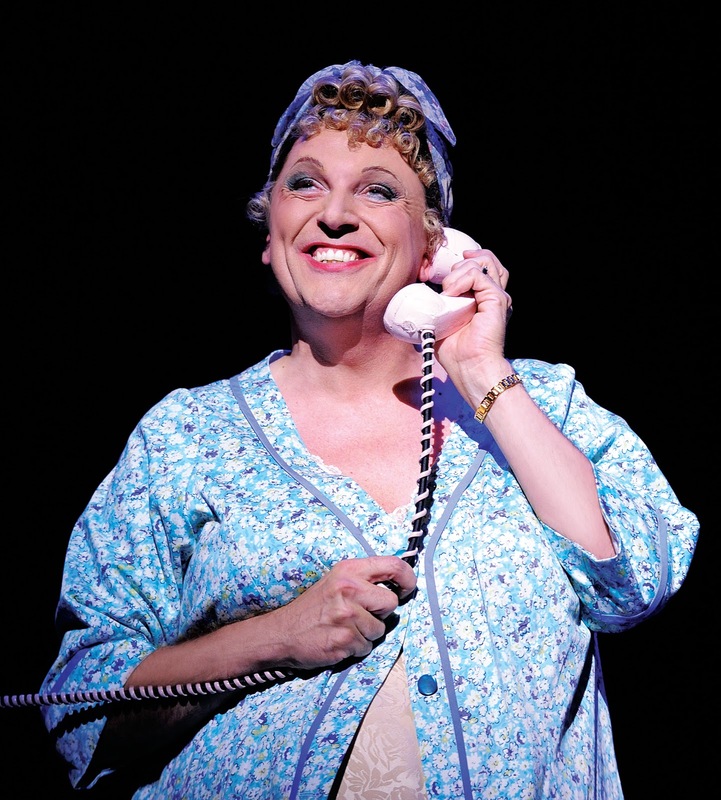 The current casting has Edna Turnblad (Tracy's Mum) played by Brian Conley and Walter Turnblad (Tracy's Dad) played by Les Dennis. The parts seemed to be written for them and my favourite song from the show, Your Timeless to Me, was a sight to behold when performed by them as it had the whole audience in stitches. The third wall was broken a couple of times because of the volume of laughter from the audience and Brian and Les trying to keep in character with a few ad-libs that I was glad went straight over Top Ender's behatted head! Hairspray is on at Milton Keynes Theatre until October 9th, and tickets cost between £17.50 and £45.50. If you live close enough that you can go do book tickets for a great night out, that will have you dancing in your seat, cheering for Tracy and remembering just why loving yourself from the inside out is so important. 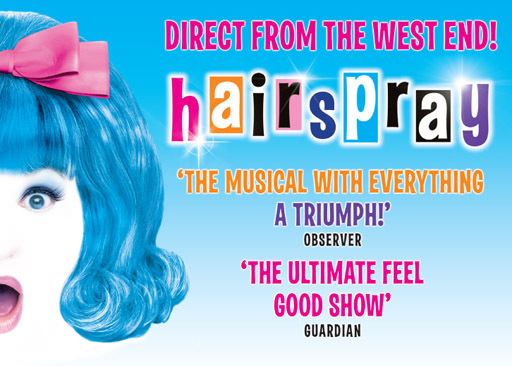 Of course the tour is continuing until April 30th 2011, so look at the Hairspray Tour Website for details of when it may be coming to a theatre nearer to you!